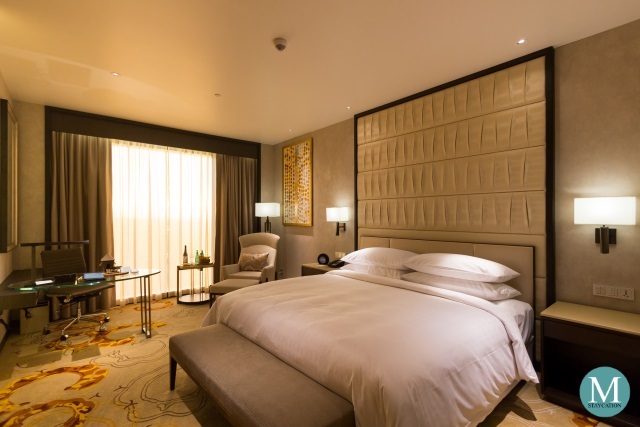 I recently traveled to Sanya, a popular holiday destination on the southern coast of Hainan Island, China. 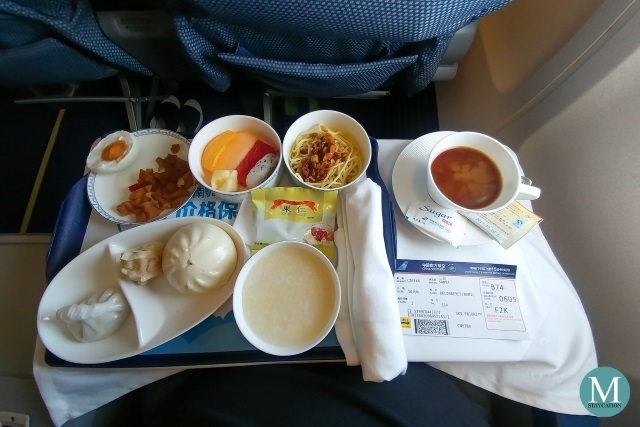 For this trip, I flew Business Class from Guangzhou (CAN) to Sanya (SYX) via China Southern Airlines Flight CZ6748. 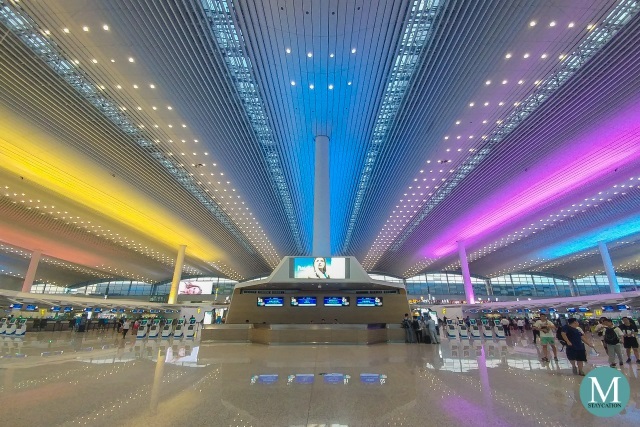 The domestic flight operated from the brand new Terminal 2 of Guangzhou Baiyun International Airport (广州白云国际机场). 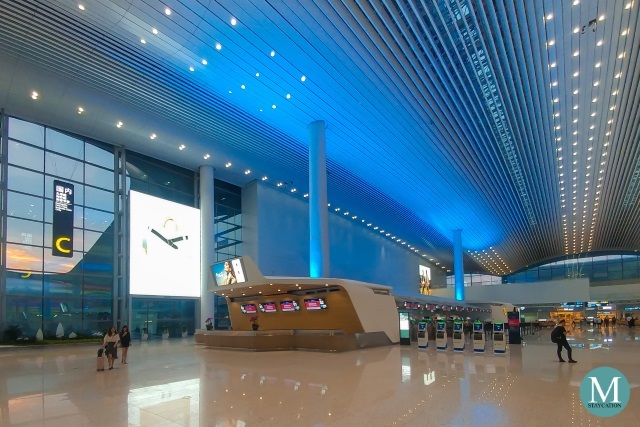 The new terminal recently opened in April 2018 and serves both domestic and international flights. Arriving from an international flight at Terminal 1, I took the airport shuttle to Terminal 2. It was a quick 10 minute bus ride. 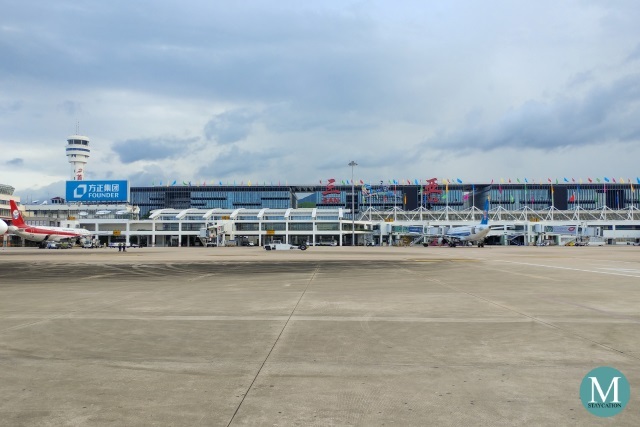 Drop-off point of the shuttle was at Gate 42 of Terminal 2 which was the closest entrance gate to the dedicated Sky Priority check-in counters (C, D & E) of China Southern Airlines. Being a Business Class passenger, I enjoy Sky Priority benefits starting with premium check-in. I just handed my passport to the ground crew and told her that I was flying to Sanya. The whole check-in process was a breeze since there was no queue. 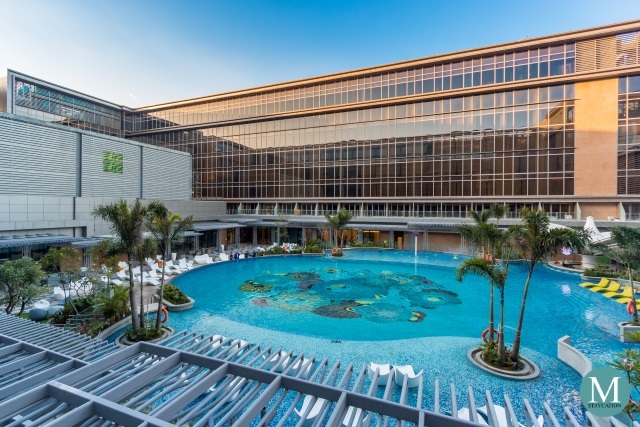 After checking-in, I was directed to security check. 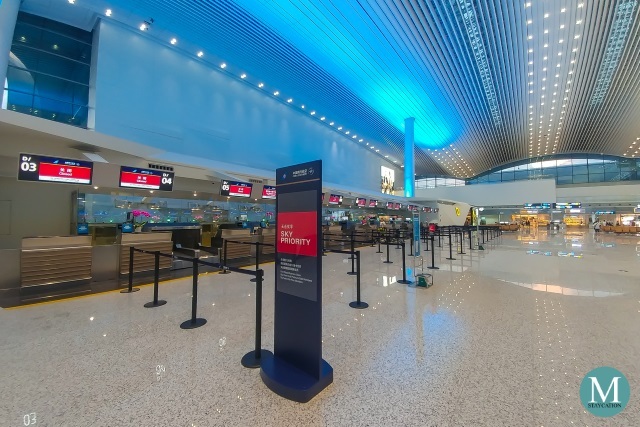 What I like about Guangzhou Airport is that there is a dedicated security check counter for first class and business class passengers, making the whole process very seamless. I only have 1.5 hours in between my flights so I skipped the VIP Lounge and went straight to our designated boarding gate. Sky Priority guests were the first ones to board the aircraft. For this flight, a Boeing 737-800 aircraft was utilized. 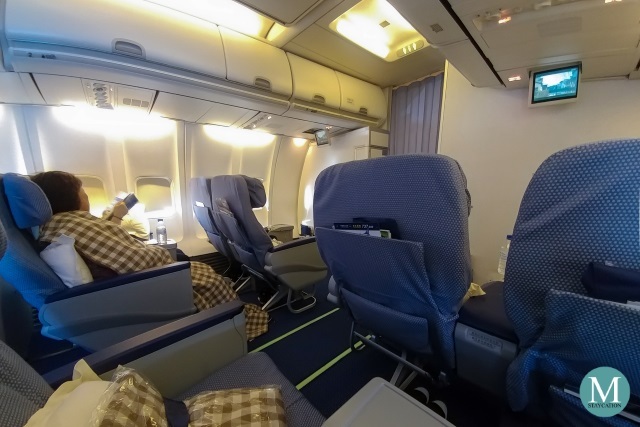 The aircraft had three seat class configuration: Business Class, Premium Economy and Economy Class. In total, there are only eight Business Class seats in a 2-2 seat configuration. I was assigned to seat F2K (second row, right window side). 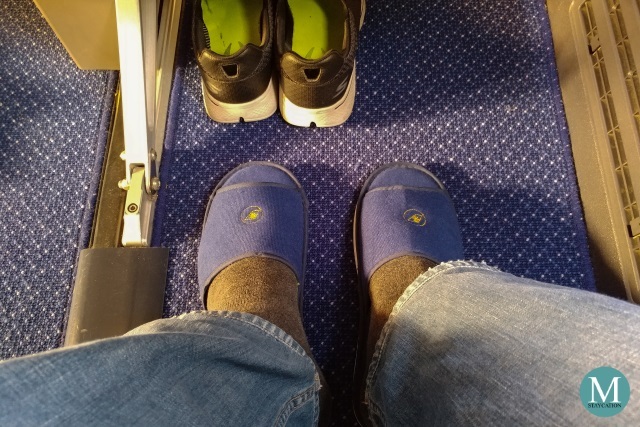 As soon as we were seated, the flight attendant offered me slippers. No socks nor sleep mask were offered (I was wearing my own socks in the photo). Immediately short after business class passengers were boarded, other passengers started boarding the aircraft, passing through the business class aisle. Other than bottled water, no other pre-flight drinks were offered at this time. Shortly before taking-off, the flight attendant distributed blankets and the menu for our in-flight breakfast. It was a short 1 hour 35 minutes flight, and no time was spared. 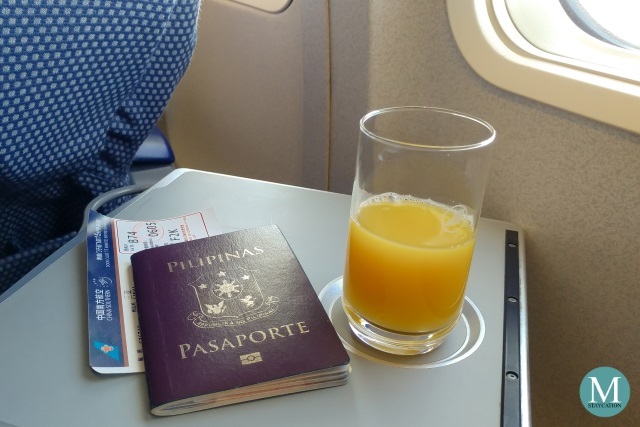 As soon as we reached cruising altitude, the flight attendant started serving our breakfast, starting off with drinks. I ordered coffee which was served in less than a minute. For breakfast we were served plain congee paired with salted egg and picked vegetables, assorted dimsum (steamed bun stuffed with red beans, steamed vegetable dumpling, and steamed pork dumpling), a serving of Sichaun style noodles, assorted fresh fruits, and a pack of peanuts. After finishing my breakfast, the flight attendant immediately cleared my tray table and I was offered another drink. I asked for orange juice. The Boeing 737-800 are designed for short flights, thus seats were not not equipped with individual in-flight entertainment. Travel documentaries, on the other hand, are played on the overhead screens inside the cabin. 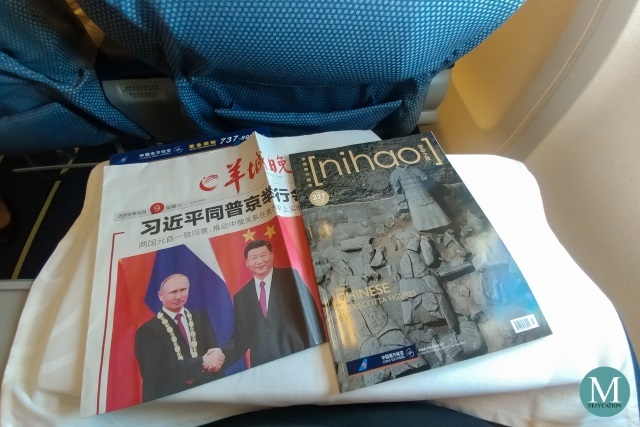 Guests are provided with a newspaper and a copy of Nihao, the in-flight bilingual (Chinese/English) magazine exclusive to the First Class and Business Class cabins of China Southern Airlines. I just enjoyed the rest of the flight watching scenery from my window. The business class cabin has a dedicated lavatory, and there were only four business class passengers during the flight. The lavatory was clean, nothing really special except for the handwash and sanitary gel provided inside. 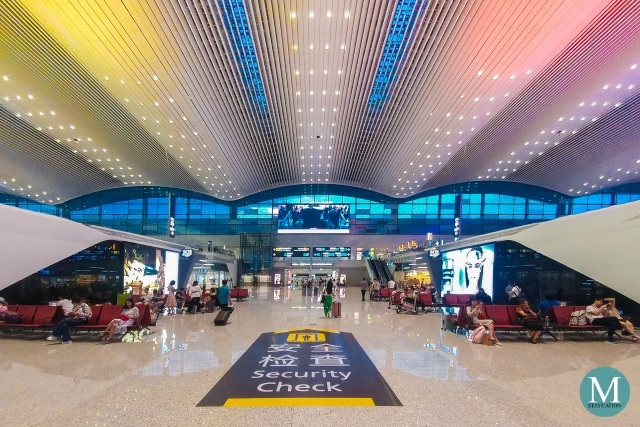 When we landed at Sanya Phoenix International Airport, business class passengers were the first ones to deplane. 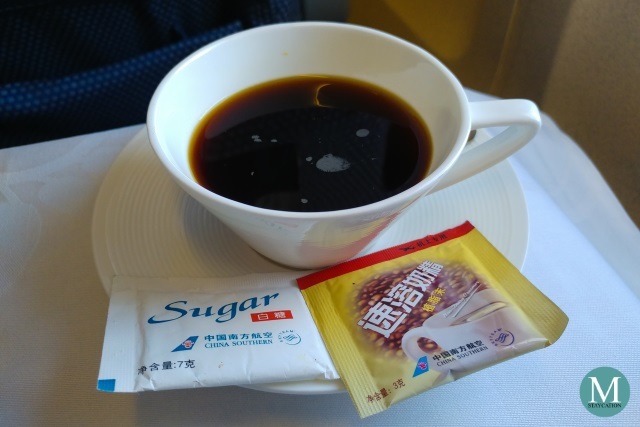 Overall, I enjoyed my business class flight from Guangzhou to Sanya. Although it was only a short flight, I did not feel stressed nor tired after flight. 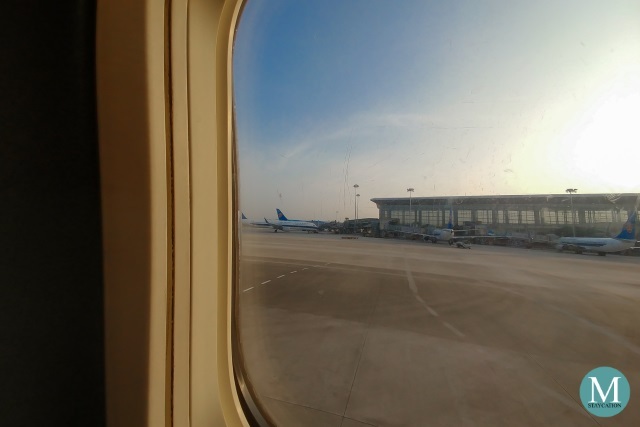 I particularly enjoyed the Sky Priority premium check-in and boarding experience as well as spacious legroom which allowed me to stretch my legs to a more comfortable position. Another highlight of this flight was the in-flight breakfast. 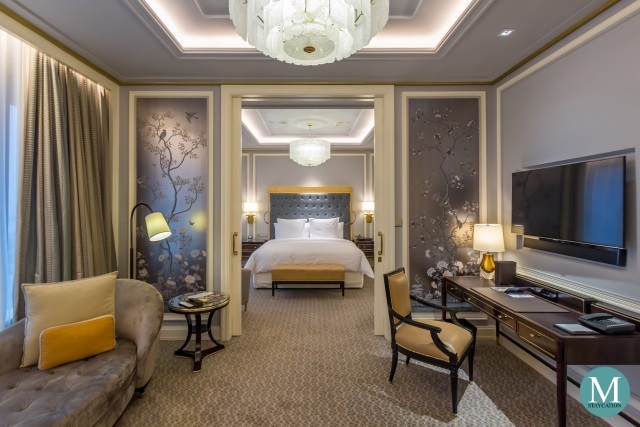 Given the right price, I will consider flying business class again with China Southern Airlines (perhaps on a longer route next time).